The Lenovo V310 is Lenovo’s best-selling model. This model is priced and place little higher than generous entry-level IdeaPad 110. 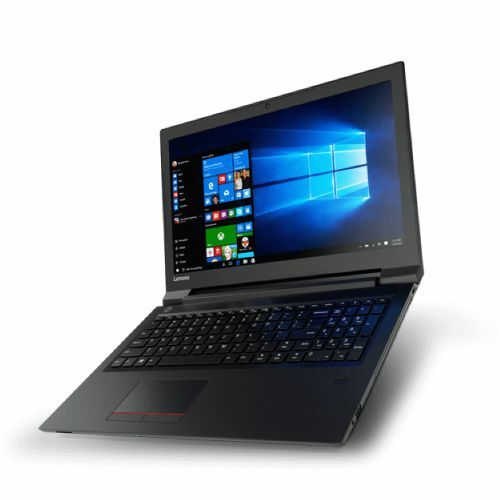 Lenovo V310 is primarily focused on first-time laptop buyers, home and casual users whose usage is mostly limited to watching videos, surfing web editing documents and other less demanding daily needs. Lenovo V310 comes in plenty of variants distinguished by the processor model, GPU and screen resolution. For this it is based on Intel i7 CPU with HD graphics. Like other most budget laptops the Lenovo V310 is built using solid plastic with non reflecting surface. The top plate is done with nice matte finish and bottom portion is a rough textured coating on brushed metal finish around the trackpad and keyboard areas. Lenovo V310 is available in five different shades; smooth or textured black, silver, red, purple and white. The laptop does not carry any fancy elements and it follows minimalistic design overall. This model body quality feels solid while lifting the road book but fit and finish is quite average. There are a few panel gaps around the keyboard frame and on the DVD Drive which feels very flimsy to touch. The top lid cover is reasonably rigid and doesn’t bend inside much when applying slight pressure. It attracts fingerprints quite easily especially on top lid and trackpad area despite having a non-glossy surface. It has a single inch design and a steady enough to hold display at all angles but the screen bounces a lot while tilting. There are four rubber boots at all corners of the base with three ones being for typing comfort. Lenovo V310 weighs about 2.2 kilos which is slightly lesser than a standard 15.6 inch HP Notebook but it appears little bulky while moving from side angles. It includes all the essential ports and you are served with sufficient amount of USB ports distributed on both sides of the laptop. On the left there are round shapes charging connector, a small LED light that glows while charging and a VGA port which most laptops lacks nowadays. There is also a recessed Ethernet jack, a full-sized HDMI port, a single USB 3.0 slot, 3.5 mm audio jack, a tiny pin own recovery button to restore the laptop to factory default in case if the laptop fails to boot and a SD card reader slot. There is adequate space between the USB slots so you can connect to USB devices simultaneously without blocking the adjacent slot. This was not the case with IdeaPad 110 model where the adjacent port is completely blocked when the larger sized USB device is inserted in the first slot. Above the screen is a low resolution webcam and a microphone. The webcam quality is very average and output is evenly pixed even in bright light conditions. The keyboard layout is decent on the keys of average in size with sufficient space between each other. Key travel distance is very short and offer little resistance when pressed which affects our overall feedback. The keyboard area doesn’t flux inside much even while typing aggressively which is a good sign of overall build quality. The most frequently used keys, the app, shift, enter and backspace buttons are large enough to differentiate from other keys. Lenovo provides num lock and caps lock LED indicators on this model. The directional keys are not separated from alphabetic and numeric section which is annoying sometimes. This leads to hitting adjacent keys instead of apparel. A little more gap between the numpad and alphanumeric section would be more convenient. Overall the typing experience on Lenovo V310 is very good and far better than the IdeaPad 110 keyboard. Touchpad area is medium-sized and supports ultra gesture functions. You can also customize gesture controls using an inner text tool. The trackpad dimension is quite small for a 15.6 inch Notebook. Very often the fingers cross the border line when busy reading on the screen. Other than this the trackpad gave precise feedback in an entire usage. Lenovo has employed stereo speakers for this model placed at the bottom part. The intensity is not that loud but the sound quality is pretty amazing producing plenty of details while listening to music and watching videos. You can also customize the audio output using a pre-installed Dolby interface. Like most entry-level Notebooks, the Lenovo V310 uses a glossy ips display panel with a resolution of 1366 by 768. You can also have the option of enjoying full HD display panel by spending little extra money on the same 310 model. The display is not too bright on the reflective screen surface leaves us struggling to read under oscillating conditions especially when the screen facing a bright window. Color temperature is okay on the screen and doesn’t exhibit bluish tint and voids appears white due to TN panel technology. Color reproduction is not accurate and this laptop is not suitable for any color critical tasks such as editing photos and videos. Images look washed out compared to the IPS screen. Viewing angle stability is affected after tilting the screen to extreme position. When moving from the sides it gives a negative shade of the image which is a major drawback of using a TN panel. The color shift is highly noticeable when tilting the screen vertically. This Lenovo display does not use PWM method across all brightness levels and as a result there will be no flickering issue on this screen. People can enjoy less eye strain with the Lenovo V310 with a 1366 by 768 resolution on a 15.6 inches screen. It yields a pixel density of around a 100 pixels per inch. The text remain sharp when certain distance is maintained from the screen. The display opens really wide up to full 180 degrees but this feature is let down by the screens subpar moving angles. Despite having a low capacity 3200 mAh 2 cell battery on Lenovo V310 on battery performance is suprising. It lasts close to 4 under of hours when used for web browsing or doing less demanding tasks. The battery runtime reduces to 2 hours and 45 minutes then watching 1080p videos full time. It takes 2 hours and 20 minutes for charging the battery from 4 percent to 100 percent. This variant runs on Intel Core i7 6006 you processor based on 7 generation architecture with 4 gigabyte of ddr4 ram. It operates at the maximum frequency of 2.0 gigahertz and performance on general tasks is mostly adequate. You will feel more satisfied by restricting yourself to web browsing with 5 to 10 tabs open watching youtube videos at 1080p or editing documentas. It drags at times when multitasking is heavy. Doing CPU intensive tasks like image rendering video encoding on this laptop will leave you disappointed. It is suggested laptops with a higher CPU. Playing full HD videos is not an issue with this laptop but it stutters terribly when running 4k videos or even 1080p video recorded at 60fps. The integrated HD 520 GPU is more suited for casual gaming and flash games and even it can handle popular games at low resolution with minimal details. The laptop’s temperature remains well controlled under 65 degrees at full load which is very impressive. It does not get excessively warm at the bottom potion and it does not earth my lap even after continuous web-surfing. The exhaust vents are placed above the keyboard area on the laptop expels hot air when at full load. Air intake bins are placed right at the bottom panel and make sure you don’t place the laptop on any soft surfaces as it effectively block the vents. There is a single unoccupied memory slot for future expansion which can hold up to eight gigabyte of ddr4 RAM and that gives a 12 gigabyte maximum system memory. The pre-installed 8 gigabyte memory is soldered to the motherboard. You can also replace the 2.5 inch ROM with a super-fast solid state drive which in turn improves the system performance drastically. The battery is not user accessible and you need to perform full disassembly to access it. The Lenovo V310 model is recommended to regular users and is quite suitable for both entertainment and office stands. It is far better than the IdeaPad 110 series.